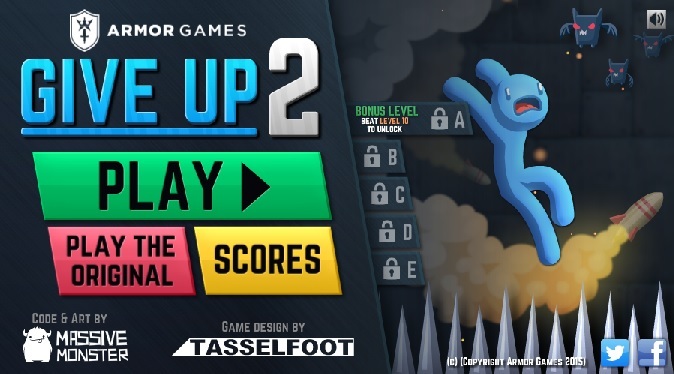 Play Give Up 2 Game Unblocked online Put yourself to the torture of Give Up 2! In the second installment of the challenging platform game you have to pass several obstacles and deadly traps in order to get through the exit door alive. How often do you have to die to throw in the towel?